150922 Update: We’ve updated our computers which now support USB3 and Thunderbolt drives. WOOHOO! So of course we’ve also updated recommendations below for card readers, hubs and hard drives. 140327 Update: For those with USB2-equipped computers, the USB3 readers may perform slower than equivalent USB2 readers. I’ve noticed this unwanted behaviour since switching to SD card readers to accommodate our new fleet of Nikon Df’s. The other USB3 hardware (hubs and hard drive) work fine, so REVISED RECOMMENDATION is to buy USB2 readers for USB2-equipped computers and buying USB3 readers for USB3-equipped computers. (so much for future-proof buying options). Hey Dave Cheung, you have always been my personal “gear shopper”, LOL! Just got a new Mackbook Pro with USB 3.0 & the SSD drive for the first time… whats your’s go-to memory card transfer system? The bad news: Curtis didn’t send me his new computer for a thorough hands-on testing. I wrote an article in 2011 on this very topic, but times have changed – USB 3.0 wasn’t around back then and the Hard Drive I recommended is no longer reliably bus-powered. All in all, not a bad time to revisit this topic and share the new bus-powered super-fast hard drive I’ve found too. a) Reliable – Without this, really there’s no point. b) Fast – for 3-day Indian weddings I need to download bunches of memory cards really really fast. So I can sleep. At least a little. c) Travel-worthy – to make Traveling-Dave a happy boy, it’s gotta be compact with no external power required (i.e. everything must be bus-powered). Before we get into hardware, we should talk about the most efficient software. We use and recommend Photo Mechanic. Unlike other software (ahem: Adobe Lightroom), Photo Mechanic is really light on resources and doesn’t slow down your computer. It’s so fast you can start tagging your favourite images before it’s finished downloading them all. No more wasted time waiting for Lightroom to generate “previews” or worrying about bloat-ware eating up your precious hard drive space. Why else would you want to pony up the asking price? Because Photo Mechanic allows you to download multiple cards at ONCE! No more babysitting your computer and waiting for one card to download before inserting the next. Just shove a bunch of cards into their reader and let Photo Mechanic ingest them *all* simultaneously. If you take lots of pics across many cards, there is no end to the awesome this is. With that out of the way, it’s time to talk hardware. We choose to shoot with large-ish memory cards. Larger memory cards = less need to change cards during a shoot = less human error = less chance of losing cards. “But what if the card goes bad?” I’ve been bitten with corrupt files when using cheaper cards, but have never had a card-induced failure with our recommended brand – we exclusively use Sandisk cards and recommend you do the same. Sandisk also often includes free image recovery software with the purchase of a memory card. After over 10 years of digital shooting, I’m ok with this fail-safe and can sleep well putting all our images on big honkin cards. The best part: at the end of the day we can usually just download one or two cards per camera. Easy-peasy. What size you’ll need will depend on the image size your cameras produce and how many images you take. We currently use 64GB cards but you can bet we’ll be moving up to bigger and faster cards as prices fall. Besides size, the speed of your memory cards can affect the maximum speed at which you can download. Not only that, but I’ve also noticed the Fuji X100s‘ performance can suffer with a slower (i.e. cheaper) card. The X100s is much more responsive and is less prone to locking up when using this Sandisk 64GB SD card when compared to my cheaper (and slower) 32GB card (also Sandisk). A final word of advice on memory cards: make sure to purchase your Sandisk memory from a reputable seller. They’ve earned their great reputation but unscrupulous business peeps are selling fakes to take advantage of it. For our Compact-Flash-eating DSLR’s, I’d pick up four of the PixelFlash USB 3.0 CF Card Reader. I’ve got four of the older USB3 versions without the 1″ cable and love them – they’re inexpensive, super-compact, fast, light on power and don’t heat up like some other readers I’ve tested (cough – Lexar FW800 – cough). Kudos to Pixelflash for adding the 1″ cable AND for standing behind their product with a 3-year warranty. Many computers come with built-in SD card reader, but we want to download multiple cards at one time. My SD reader pick is this inexpensive multi-card reader . I tested this against the comparable Anker SD reader but prefer the Transcend since it’s both smaller and the blinky light actually tells you when the card is being accessed – when the blinky light stops blinking, I know that SD card reader is done its job (vs Anker’s LED is always on when plugged in). The only “problem” with my recommended CF reader is its strange, bubbly design, making it impossible to plug them in side-by-side on most USB hubs. * Mine came with extension USB cables to accommodate their awkward shape, but I recommend NOT using them: the extra length saps precious power and introduces another link in the chain – the weakest of which can cause corrupt images. Much better to plug the CF readers directly into the hub. Besides accommodating the strange shape of four of our CF readers of choice, our USB 3.0 hub must be able to supply power to every one without an additional power supply of its own. 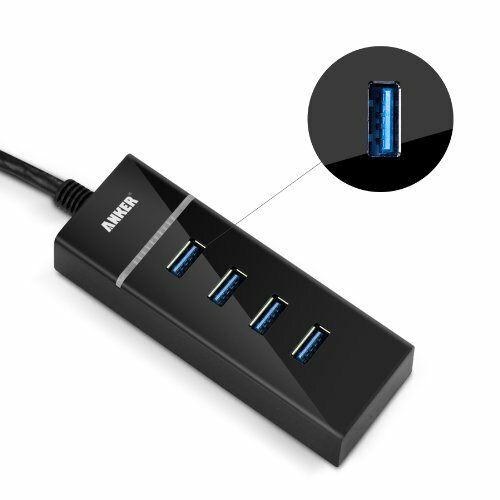 This Anker 4-port USB3 Hub is perfect for the job. The only problem was that my first unit was a dud, but Anker was quick to replace it and it’s been smooth sailing ever since. More on testing below … But first, a look at where the images will be dumped. Until there’s limitless internal hard drives, there’s external hard drives. We always download our cards onto external hard drives and never re-use the original memory cards until everything has been backed up in triplicate (OCD: yes. Lost images: no). All external hard drives are not, however, created equal. 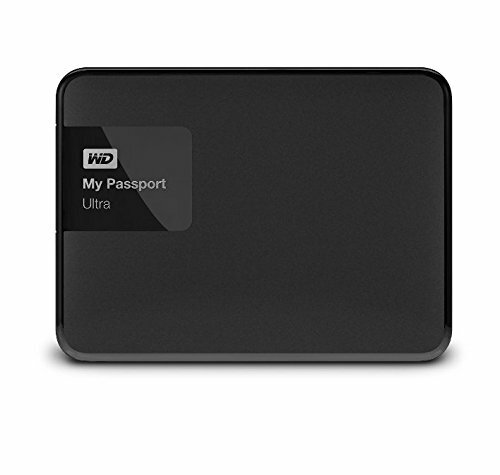 I used to use the inexpensive Western Digital travel hard drives you can pick up at Costco. They’re a great value if price/GB is your only concern, but after many lost hours of sleep, I’ve learned it comes at the expense of speed. During our first string of multi-day Indian weddings, I found myself having to stay up almost the entire night between events downloading memory cards. I thought the snail-paced download speeds were due to my card readers or hub. Then I tested downloading onto 7200RPM hard drives and my download times were freakishly shortened – what took seemingly the entire night to download onto 5400RPM drives was reduces to a couple of hours on my 7200RPM drives. The problem is finding a fast hard drive (7200RPM) that’s (a) portable, (b) has enough storage space for lots of images and (c) bus-powered. Enter G-Drive’s mini bus-powered 7200RPM HD. I have the 750GB USB 2.0 version but this 1TB version is USB 3.0 compatible and also bus-powered. 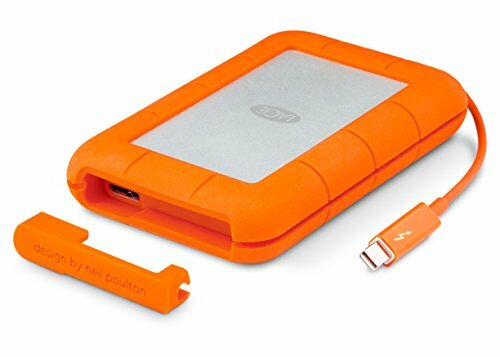 If your computer ecosystem supports Thunderbolt, the Lacie rugged 2TB hard drive can not only deliver fast speeds, but has an integrated thunderbolt cable (which can be spendy), USB3 compatibility, and can take a little bit of a beating to boot. Though the platter only spins at 5400rpm, I’ve found USB3 and Thunderbolt connections don’t suffer from the same speed issues found in my USB2 setup noted above. A great cheaper alternative is the ubiquitous Western Digital Ultra USB3 2TB hard drives. I’ve got bunches of these hard drives and love them for their great value per MB as well as slim form factor, which is important when I travel with 3 or 4 hard drives in my carry-on. Whether you’re shooting images for clients or yourself, losing your hard-won images is a bummer. That’s why we never format or over-write memory cards until we have triplicate copies on multiple off-line hard drives. Until then, I *ALWAYS* make sure to keep the memory cards on my person at all times – tethered. 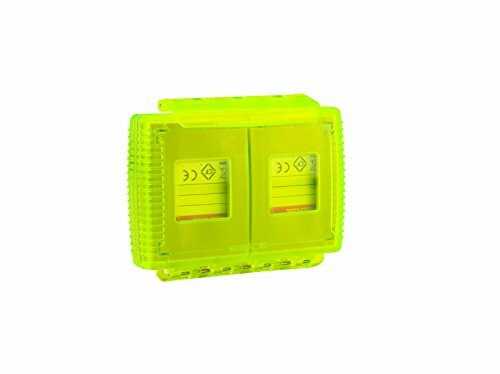 I’ve had a bunch of these Gepe Card Safes for years and love them: they’re waterproof, crush-proof and have a tether point where I attach a lanyard so I can keep them safely secured to my shorts even when playing on the beach or going for a swim. Each case can nest 4 SD *and* 4 CF cards at the same time, so one case is usually enough for even the heaviest of shooting days.